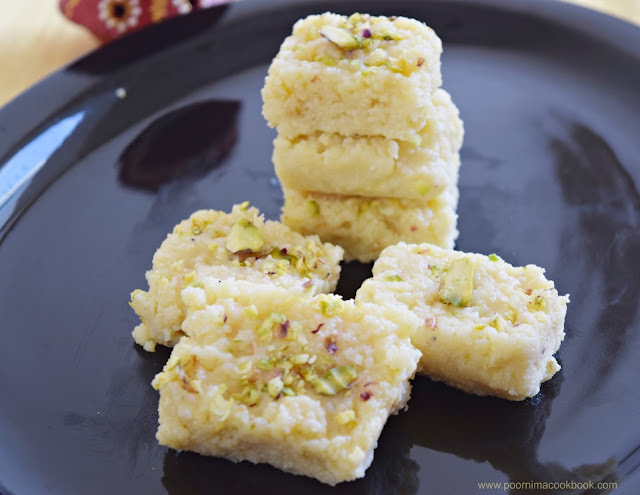 Kalakand / Milk cake is a traditional Indian sweet which takes more than a hour to make. I prepared this with 15 minutes using paneer, milk powder and condensed milk to reduce the cooking time; of course, the taste was awesome! Feeling happy!!!! 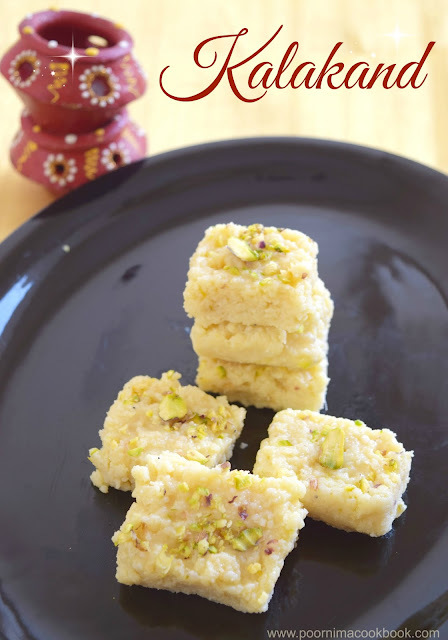 This is a perfect sweet treat to celebrate Diwali; we all especially my kids love these delicious sweet! Thaw / Defrost paneer and grind it into a coarse powder using mixer / grinder. 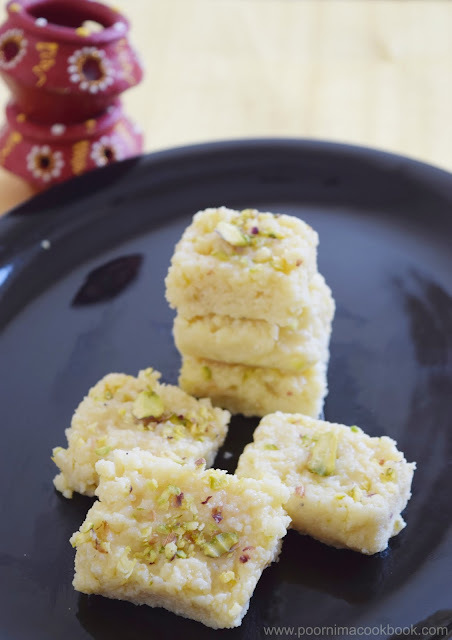 Take a bowl and add powdered paneer, milkmaid, milk powder, sugar and cardamom powder. Mix well. Heat a non stick pan, transfer the paneer mixture into that. Pour the mixture into a greased plate and garnish with chopped / grated pistachios. Allow them to cool 5 to 7 minutes and then cut into desired shapes.